Kamila Bassioni is a Caïro based visual artist with a B.A. in scenography earned at the fine arts college in Egypt, born in 1985. Her last years of work have been focused on freelance illustration – such as designing book covers and illustrating children’s picture books – and personal projects next to that. She has also participated in multiple group exhibitions. Kamila says that commissions usually inspire her personal work. Another big source of inspiration she finds in human emotions and the feel, thought and act of suffering. With this kind of art, Bassioni wants to express and share different thoughts and concepts. To open up the eyes of the spectators is the goal, whether they are living in Egypt or abroad. She aims for people to start thinking and be critical. For her, creating visual art seems to be a way of shouting without words. Therefore expressing herself peacefully but powerfully like this, leads to the truest satisfaction possible for her. 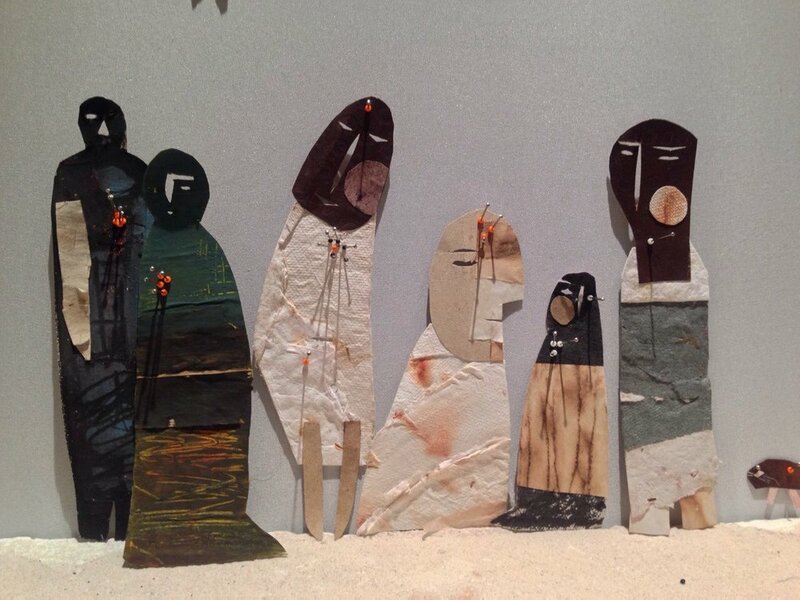 Bassioni mainly works with paper and cardboard; she combines the cut-out and collaging techniques to create characters big or small, with each their own thoughts and emotions. For example, for the project ‘Rags to Riches’ in Caïro, she assembled an installation of large-sized standing dolls which refer to the pain and hopelessness of the 1930’s Great Depression, but as well portray the current state of the Egyptian (or more widely seen: Arab) citizen. Keep in touch with Kamila via Behance and Instagram.